1. 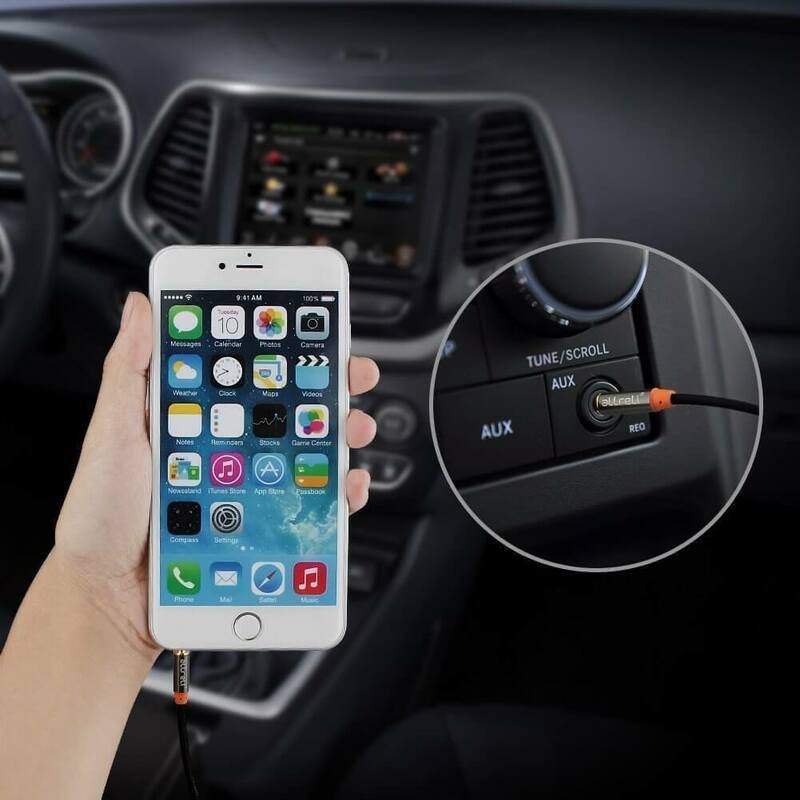 Tangle-Free Design Connect your iPod or iPhone to your car stereo, home stereo, portable speakers, sound card or any device that has a 3.5mm aux port. 2. Incredibly Durable. Premium metal housing makes it extra durable. 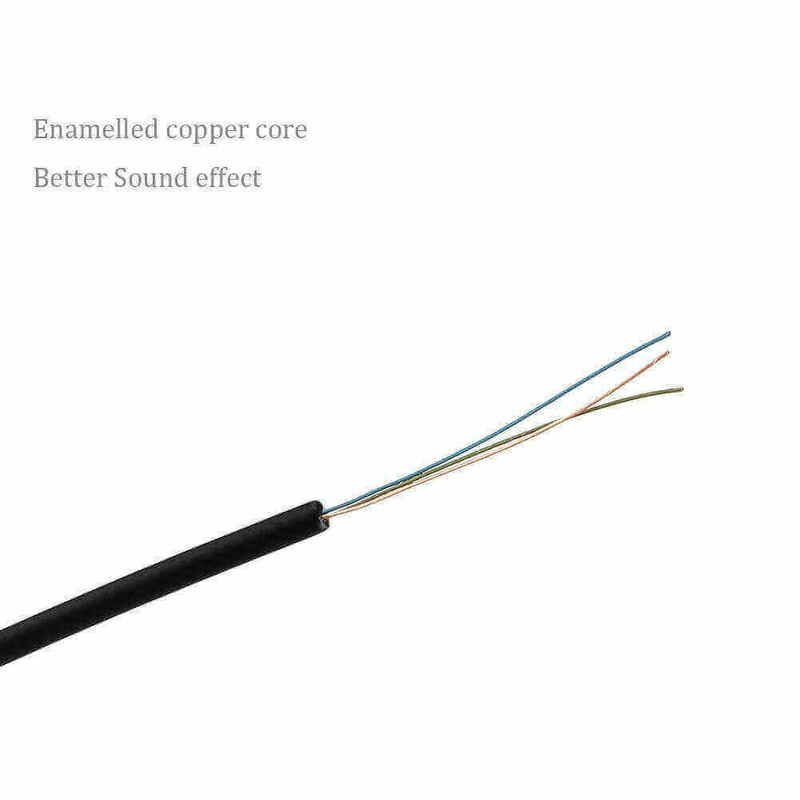 We bent this cable over 10000 times and saw no damage or change in performance. 3. 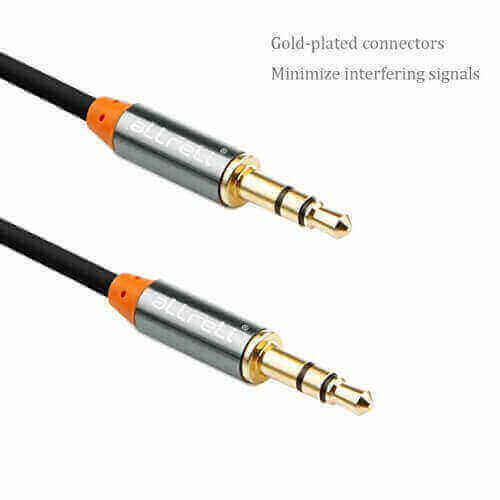 Connect with ANY Smartphone,Tablet or Player to Car Speakers. 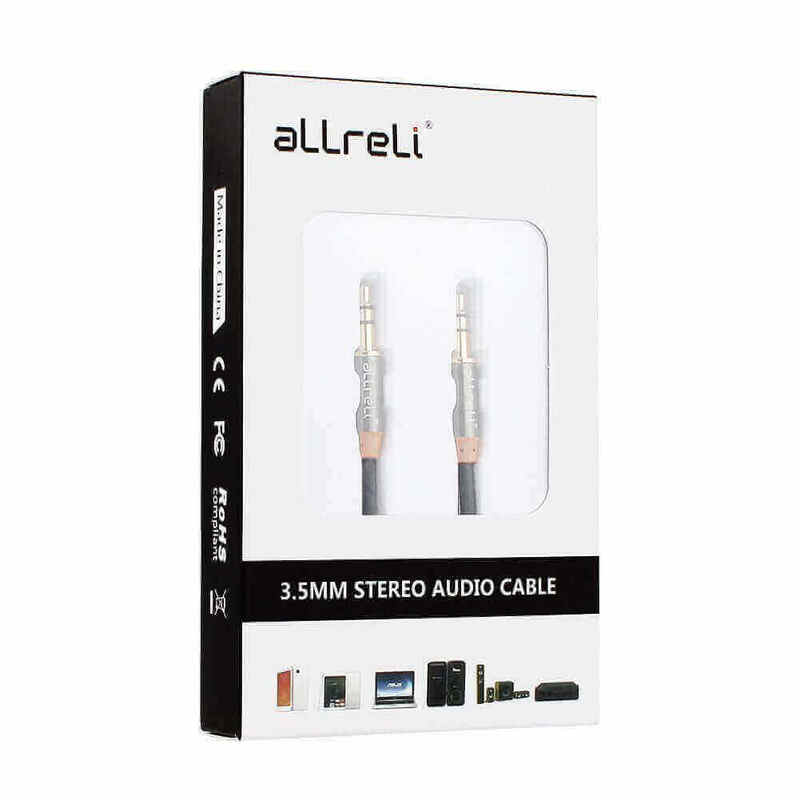 aLLreLi 1.0M Male to Male 3.5mm Universal Gold Plated Audio Stereo Cable makes listening to music on the go easier than ever before. Our male slim connector jack has a unique step down design that allows for a secure fit with all types of smartphone and tablet cases. 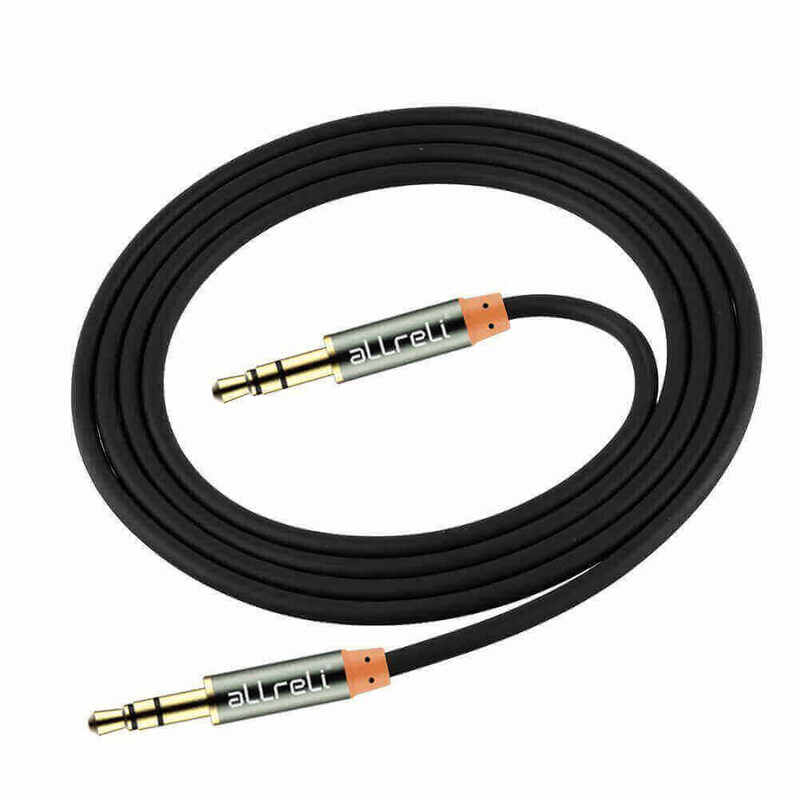 It’s 100% compatible with all standard Aux ports commonly found on dashboards of most cars, and will fit any smartphone, tablet and mp3 player having regular or recessed 3.5mm headphone jack. 4. 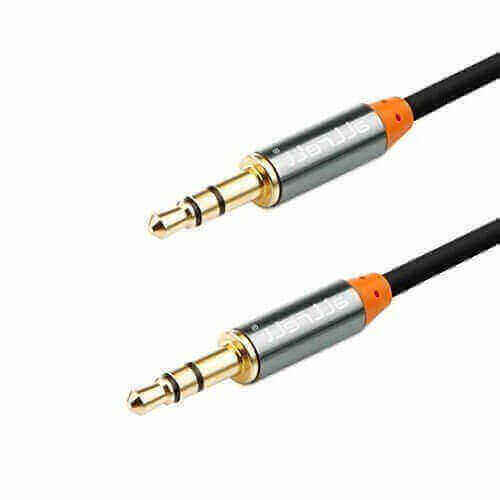 With its premium metal housing, the aLLreLi 1.0M Male to Male 3.5mm Universal Gold Plated Audio Stereo Cable is highly resistant to wear and tear and completely tangle free. 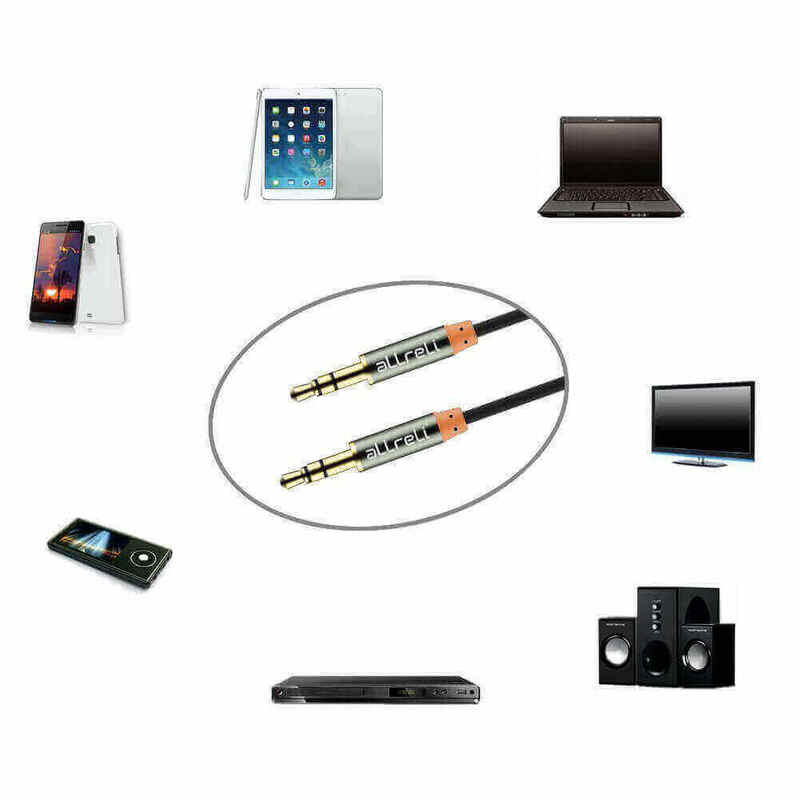 Its universal design works with any standard 3.5mm audio jack or AUX-in port–guaranteed!